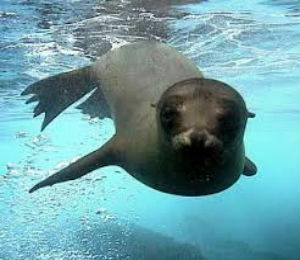 For those of us who grew up with Flipper, many of us have held the dream of swimming with those playful, sociable creatures. 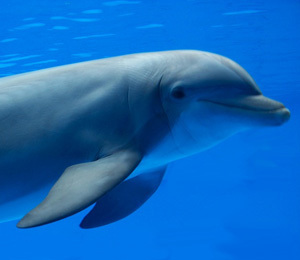 The mutual fascination between people and dolphins has existed for thousands of years with stories of people being saved from drowning and the delightful puppy-love personalities common to dolphins. Well, dream no more. The Bahamas dolphin is as friendly and affectionate as any dolphin and you can enjoy a Bahamas dolphin encounter or a Bahamas scuba diving adventure in a matter of days. The Bahamas islands have always been a favorite vacation spot, with white sand beaches, luminous blue waters, perfect weather, swaying palms, and toe-tapping calypso music. Add a Bahamas dolphin encounter to the mix and you have the vacation experience of a lifetime. You can relax on the beach, savor Caribbean delicacies, and enjoy swimming with wild Bahamas dolphins, curious sharks, sea turtles, and hundreds of brightly colored tropical fish. Young or old, experienced or novice, this is an experience you will never forget. 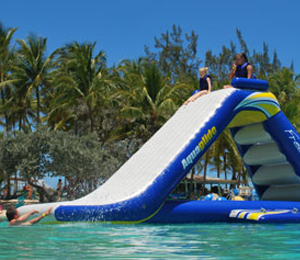 Freeport Grand Bahamas and Nassau are fabulous holiday locations, regardless of your age, schedule, or budget. There are simply so many things to do. Aside from the traditional beach combing, sunbathing, shopping, dining, dancing, and exploring, your Bahamas dolphin encounter will be unforgettable. Swim With Dolphins Bahamas has Bahamas dolphin encounter packages for every age and skill level and they take care of all the details so all you need to do is enjoy yourself. 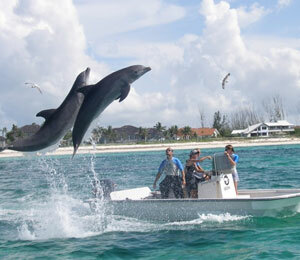 If your vacation takes you to Freeport Grand Bahamas, you can enjoy an open sea Bahamas dolphin encounter. Here, the dolphins have become accustomed to being fed and you are sure to delight in being approached by wild dolphins in the tropical waters. If you find yourself on Nassau, you can experience a Bahamas dolphin encounter in the comfort and convenience of the Blue Lagoon Sanctuary, which includes a pristine beach, food and beverage service, and water bicycle and inner tube rentals. Just imagine pedaling a water bike and being approached by curious, playful dolphins! Vacations don’t get much better than that. One of the nice things about a tight economy is that airlines, hotels, and travel agencies cut their prices and offer significant discounts and specials. Now is a great time to get away at a budget price. Whether you cruise or fly to the Bahamas, Swim With Dolphins Bahamas offers a 30% discount on their Bahamas dolphin encounters, and that’s nothing to shake a fin at!